Flash is a powerful, versatile tool that can create beautiful websites, animations and graphics. It’s a popular web development solution because of the enhanced quality of its images and its interactive nature. At Cartoozo we have a dedicated team of specialist Flash developers, providing Flash animation solutions wherever you need them, whether as a new website or animated graphics for an advertising campaign. At Cartoozo we believe you know more about your company and its needs than anyone else, so we always want to hear your feedback. We work closely with you to ensure we deliver a beautiful, reliable and exciting product that’s fully tailored to your specific needs. Adverts and banners – high quality, interactive banner advertisements to engage your audience and encourage them to respond to a call to action. Flash websites – fully interactive, professional websites that look fantastic, attract and retain an audience and are fully optimised for search engines. Bespoke animations and cartoons – our Flash development team can create animations and cartoons to meet your specifications. We also offer 2D animation and 3D animation including 3D modelling, 3D rigging and cartoons. 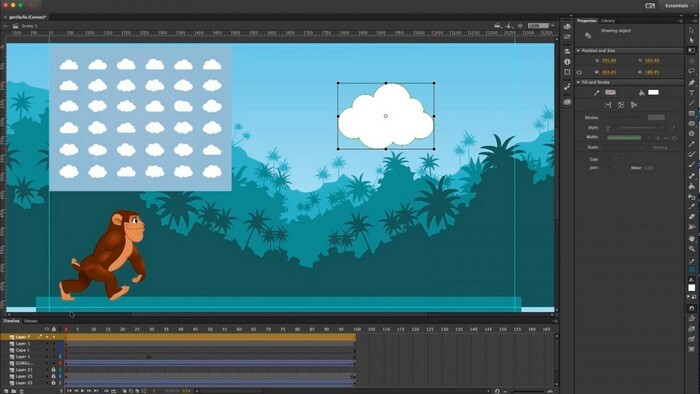 Flash animation is becoming increasingly popular with animators and developers because of its high quality graphics, versatility and the great user experience it offers. Flash animation can add significant value to your website by providing an attractive, user-friendly for your audience to engage with. This not only increases the chance of attracting visitors in the first place, but encourages them to stay once they arrive. An enhanced user experience – Flash provides interactive and visual elements that can’t easily be achieved with HTML. It also supports, sound, animation and interactivity, providing a fully interactive experience those who visit your website or see your banner ad. High quality images – Flash delivers higher quality images than any other web graphics format. Control over the product – Flash is versatile and adaptable, which means you have a great deal of control over the look, feel and functionality of your website, advert or animation. Optimisation – Flash files needn’t be huge – it’s quite easy to optimise individual files to make sure they are small and load quickly.